Has Your Company Become Stagnant? Stagnant is a strong word. 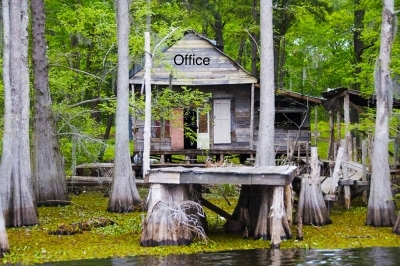 One definition states the definition as ‘a body of water having no current or flow and often having an unpleasant smell.’ Other descriptive words include ‘still, motionless, showing no activity, dull or sluggish.’ Hopefully your company or office doesn’t smell funny, but maybe your business is experiencing still, motionless or sluggish behaviors and growth. Most businesses always have areas needing focus, and for many reasons, but over time this all too often can become the norm perpetuating a downward spiral of sub-par performance and survivalist behavior across the entire company. Suddenly the door swings wide open to competitors and your job satisfaction is in free-fall. As a business owner, partner or simply ‘the one responsible,’ it can be a daunting task to switch from operations to strategic planner on a moments notice. Your days and weeks are consumed with fire drills, the immediate needs of clients & employees as well as other areas you couldn’t have imagined on your commute to work in the morning. Yes, these areas require your focus, but how do you know that these efforts are truly driving your business forward and that operational efficiency is in the crosshairs? Many times you don’t. Most times you don’t. You have no plan. You are purely reactive. Months and years go by and you still dream of creating that elusive strategic roadmap that will be your company’s compass for both the short-term and long-term. You know this is the answer and yet you still don’t have a plan. So how do you win at this game and get out of this vortex circling the drain? Surround yourself with the right people. Know that there is a direct correlation between the creation of a viable strategic plan and the group you have surrounded yourself with. The ‘been there, done that’ crowd. The ‘please don’t make the mistake I made’ crowd. The ‘I may not know right at this moment, but I will have an answer for you in 20 minutes’ crowd. The ‘I know a guy’ crowd. Who are these people? For those thinking of bail bondsmen, wrong article. I am talking about a board of directors, a board of advisors, trusted business experts, professional coaches… call them what you want, but engaging the right advisors to surround you and your business is one of the most important things you can do to keep your business upwardly trending and relevant – and actually have some fun along the way. In today’s world, you have many options in this space. Engage an individual subject matter expert, build your own advisory group one-by-one or engage a fully built board of advisors overnight with all the needed expertise you could possibly ever need. The key is to create your ‘sounding board’ and to have multiple outlets for both your strategic planning and your strategic implementation. This model doesn’t discriminate based on company size or worth – startups to large companies will most definitely benefit, but you absolutely must choose the right people. Many people would think that creating a group of advisors is only relevant if you are a business owner. This is simply not the case. Even when working within a mid-size or large company it makes sense to structure thought leaders in your organization as a knowledgeable sounding board. Most successful leaders I have worked with or advised over many years have successfully built this structure – and it works quite well. When you (and your company) are able to enhance core proficiencies and navigate already-known pitfalls, the previous known limitations become a fleeting memory.